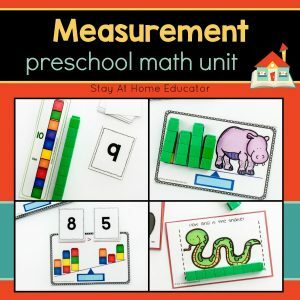 This preschool math unit includes everything you need to teach ADDITION AND SUBTRACTION in preschool math! 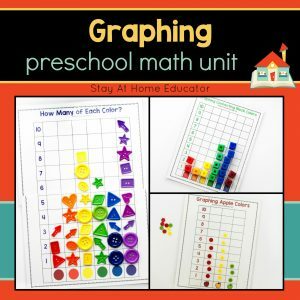 It gives you the lesson plans and the centers, as well as smaller daily math activities to keep your students learning. 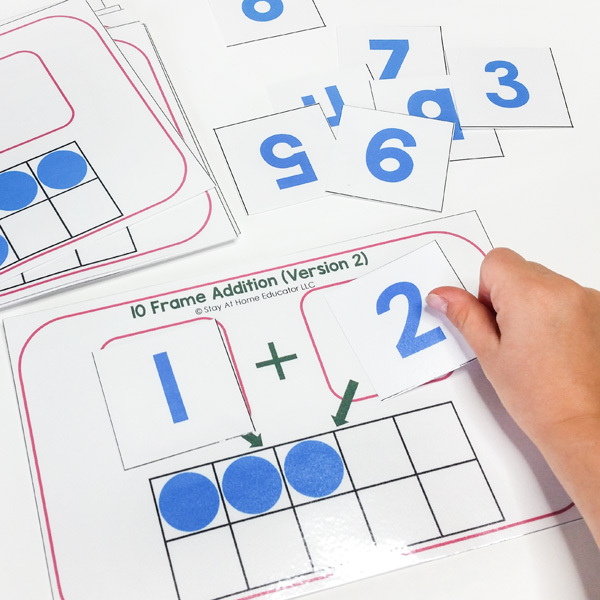 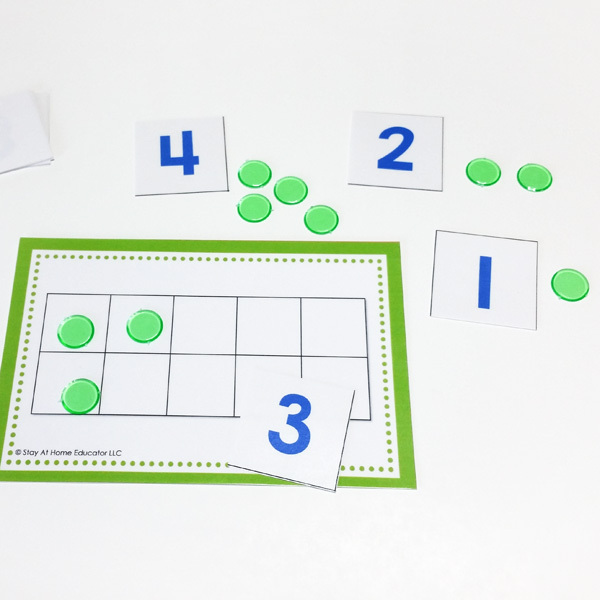 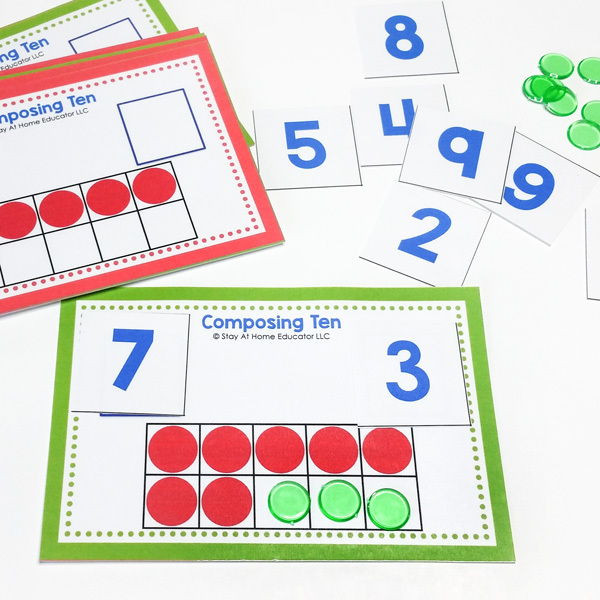 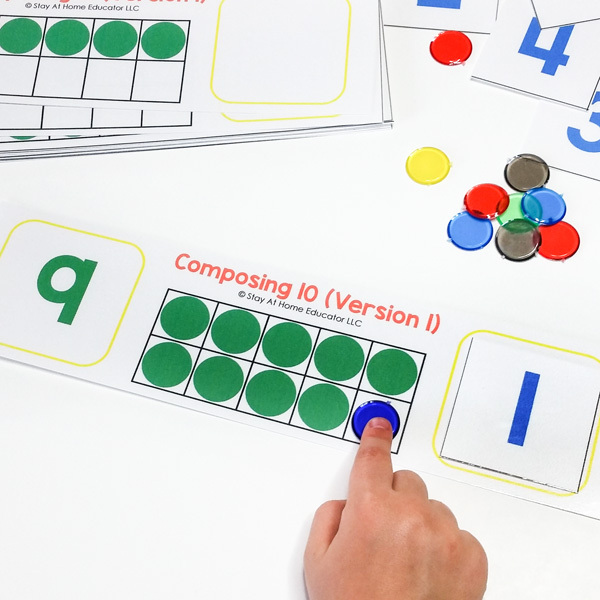 From composing and decomposing ten on a ten frame to building simplified number sentences, these preschool math lesson plans will give any preschooler a strong foundation in addition and subtraction. 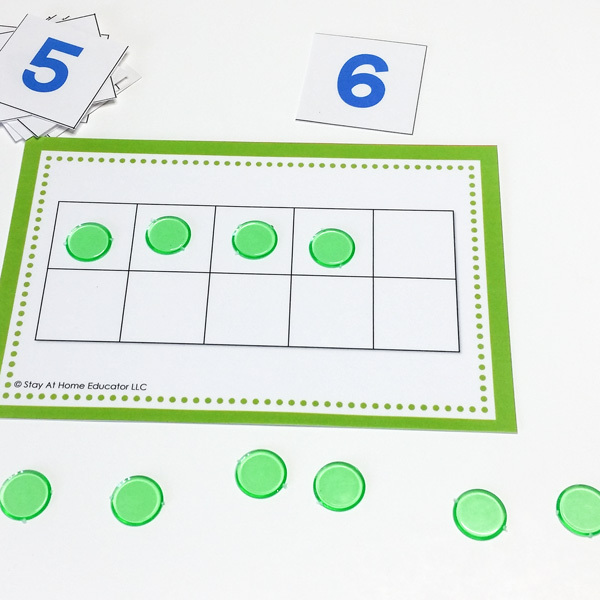 With four complete weeks of lesson plans and over 36 hands-on activities as well as 8 printable centers, your preschooler will love learning addition and subtraction! 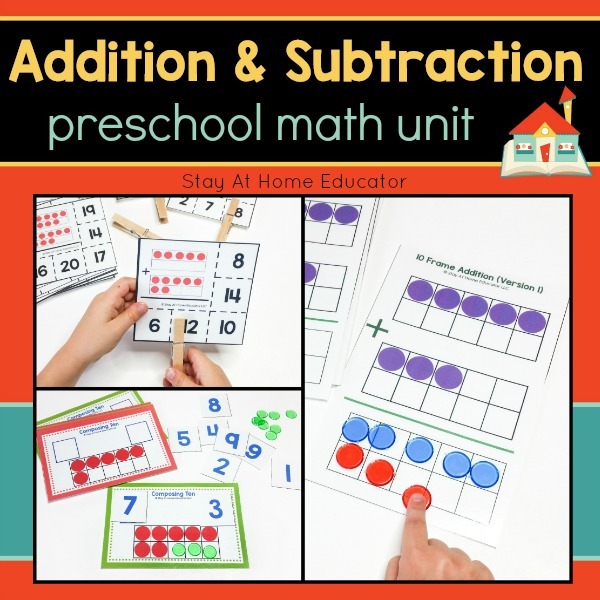 This Addition & Subtraction Preschool Math Unit includes everything you need to teach addition and subtraction in preschool math! 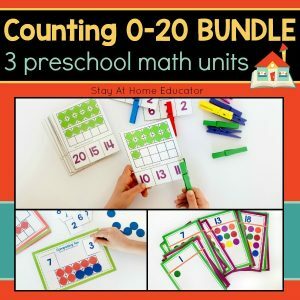 It gives you the lesson plans and the centers, as well as smaller daily math activities to keep your students learning. 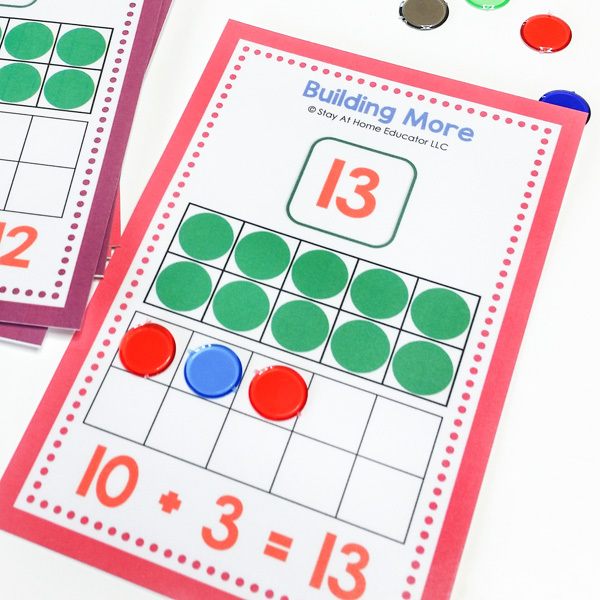 From composing and ten on a ten frame to building simplified number sentences, these preschool math lesson plans will give any preschooler a strong foundation in addition and subtraction. 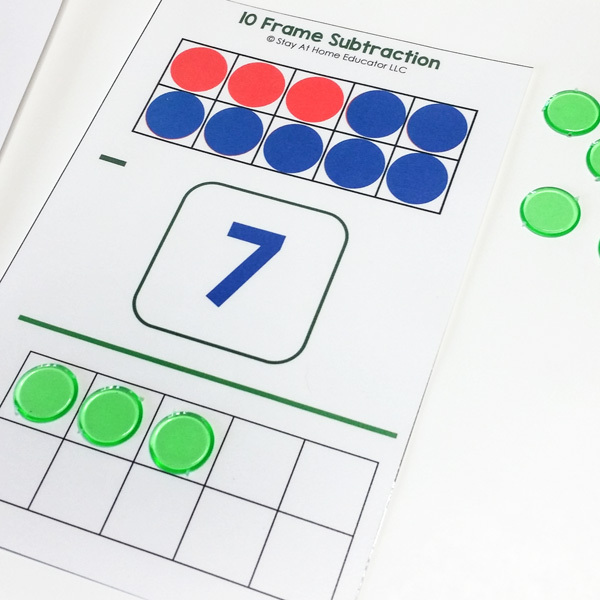 The purpose of this unit is to introduce preschoolers to addition and subtraction concepts within the ten frame methodology. 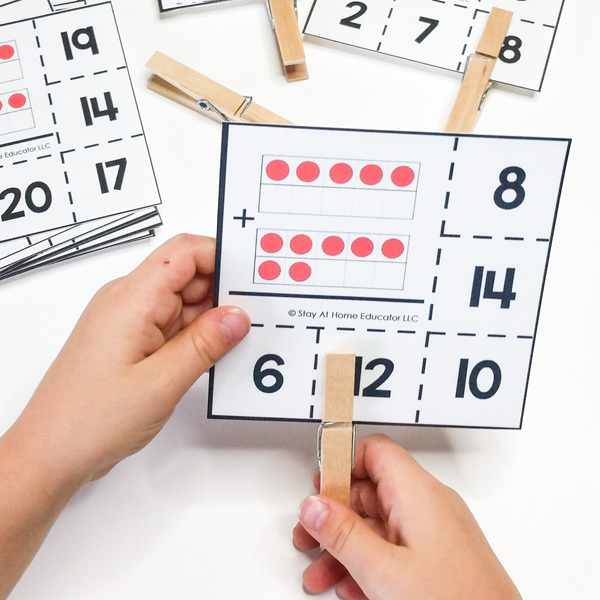 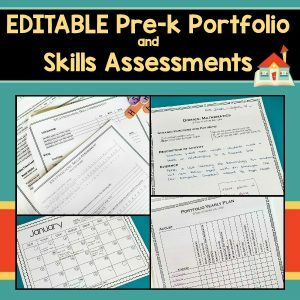 This is met with short, hands-on, teacher-directed activities that are reinforced with included printable math centers that can be done individually or with a partner or small group. 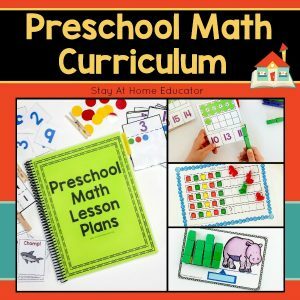 The preschool math curriculum also includes a teacher guide for implementing the curriculum in a spiral and unit based approach. 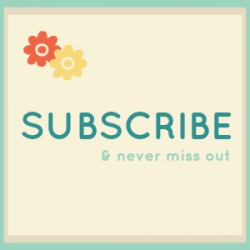 Want it all planned out for you? 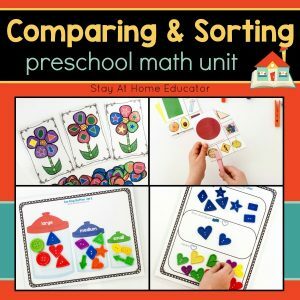 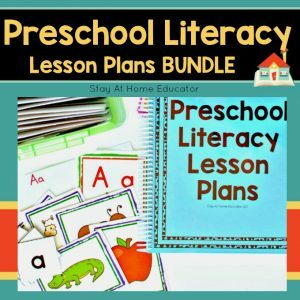 Then you will love this systematic Preschool Math Curriculum, which includes all nine units, as well as 72 printable and reusable math centers. 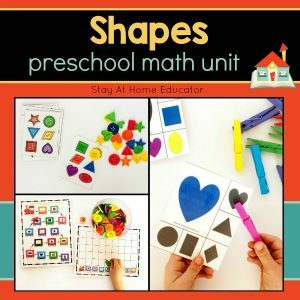 Get the whole Preschool Math Curriculum at a DISCOUNTED price!